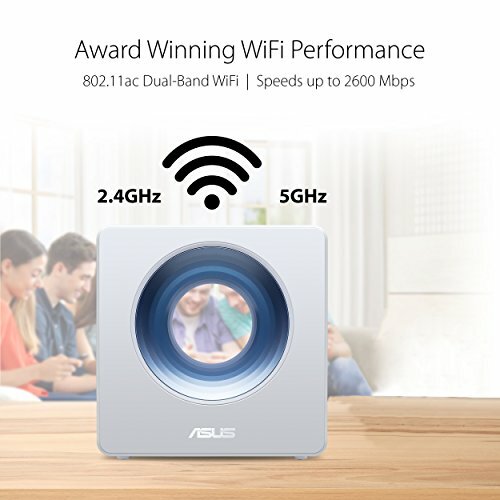 Asus blue cave review – To reach the large market for people that want an aesthetically pleasing Wi-Fi router as an alternative to ugly arachnid looking black and red boxes, Asus developed the Blue Cave. 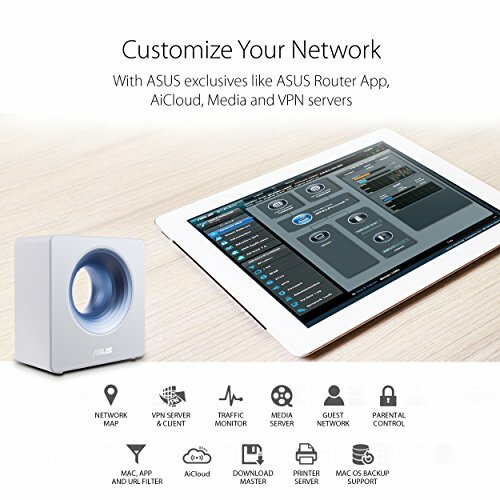 That’s literally the reason it exists – a router that looks nice. There’s no amazing new features, no technological breakthroughs, no value for money. 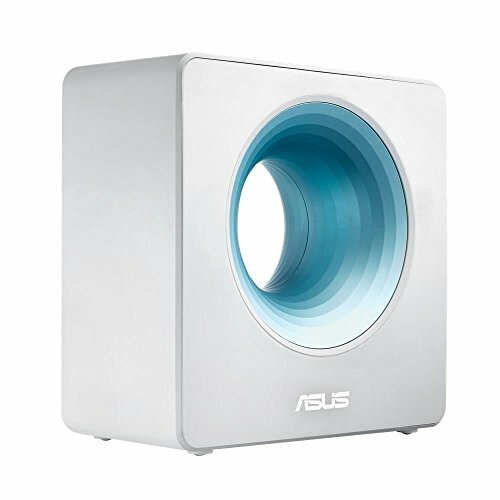 Just a nice-looking router that won’t upset your home’s decor and there’s absolutely nothing wrong with wanting that sort of product. 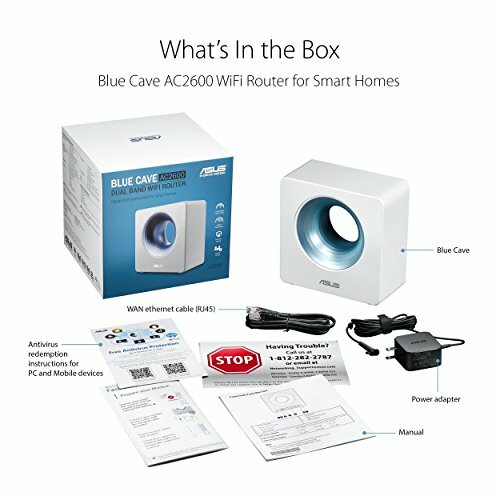 Specs wise, the Blue Cave is like any other mid-range Wi-Fi router in 2018. 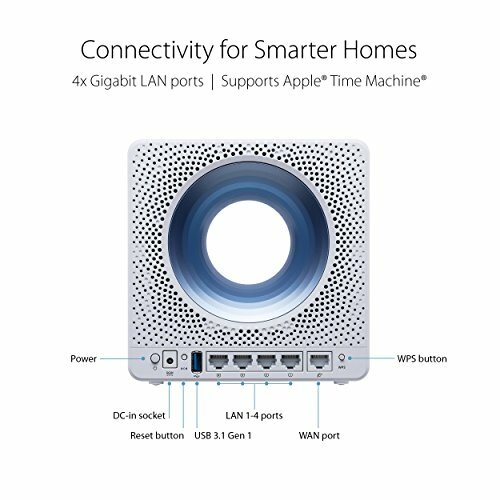 802.11ac Wave2, MU-MIMO, 4 gigabit Ethernet LAN ports, 1 gigabit Ethernet WAN port and a USB 3.1 Gen 1 post for sharing printers or the contents of external hard drives across a network. Let’s get the obvious out of the way: the hole in the middle. It’s not a unique way to boost signal quality or anything. It’s just a hole. That’s blue. And cave-like. 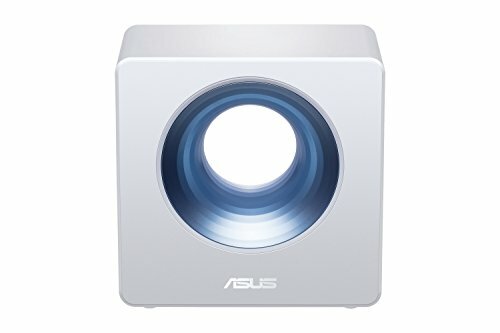 Asus reckon it is “up to 28% faster” than other AC2600 routers with traditional antennas, but with our testing, was no better or worse. That doesn’t mean the Blue Cave hasn’t got some nifty design tricks up its sleeve. Despite the Blue Cave’s is surprisingly compact size, it keeps up with the big boys and their array of unsightly antennas and much larger footprints. 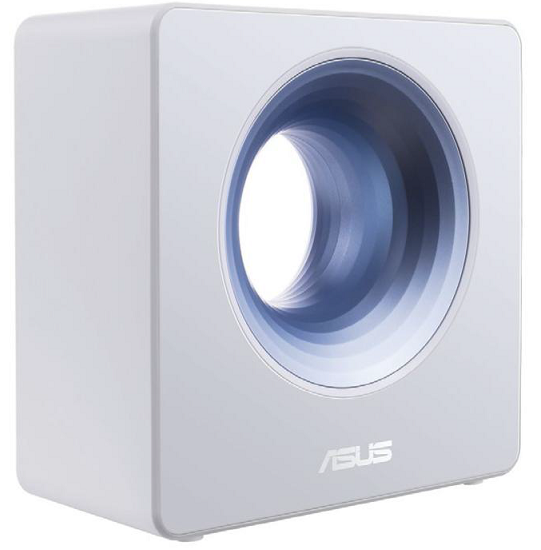 It also has a blue LED that lights up the circle, enhancing the Blue in Blue Cave. Luckily that can be disabled, as only a masochist would want that bling permanently illuminating their otherwise tasteful interior design. 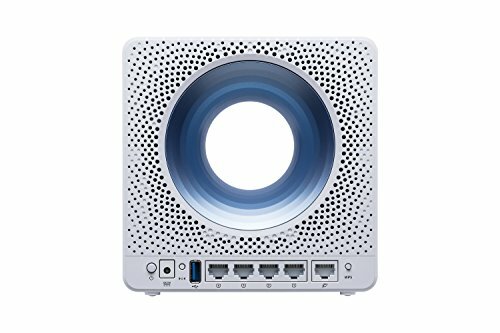 Beauty is in the eye of the beholder, but it’s certainly one of the least dorky looking Wi-Fi routers on the market. 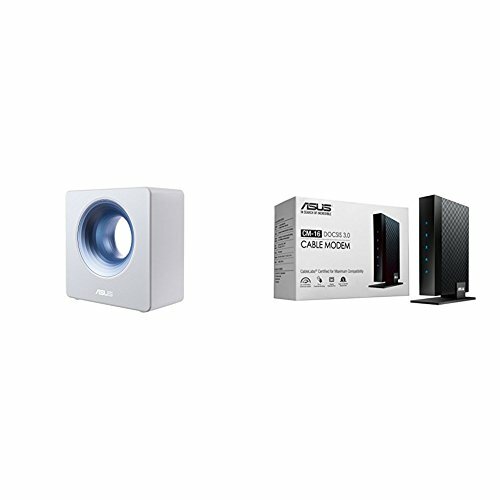 There’s a better chance the Blue Cave will fit into a normal home’s aesthetic than the excellent performing, but grotesque D-Link DIR-895L. 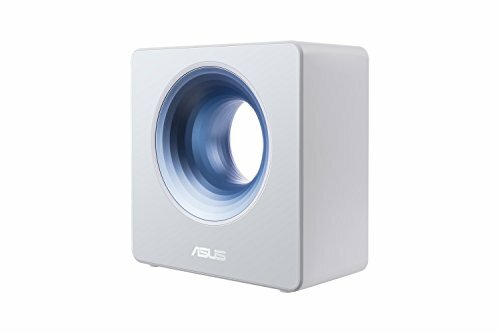 Asus has packed the Blue Cave with the familiar Asus router software, which is one of the most feature filled on the market. Advanced parental controls include the ability to block certain categories of content (e.g: gambling, instant messaging, etc.) and schedule times when certain devices on the network can’t access Wi-Fi (e.g: between 8PM and 8AM, no internet for the kids). 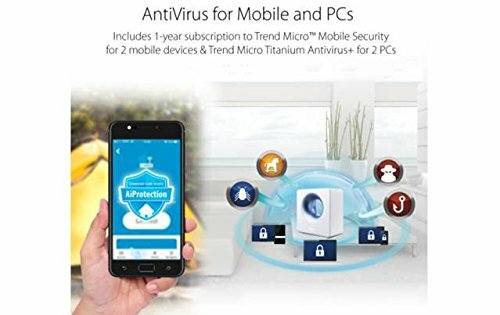 Asus’s AiProtection keeps the nasties away thanks to Trend Micro’s constant vigilance and like most routers these days, can be easily managed via a smartphone app. 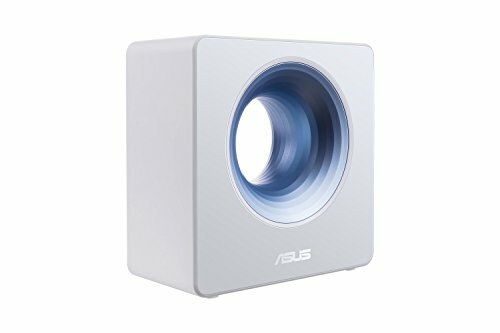 One of the more unique features of the Blue Cave is its integration with If This Then That (IFTTT) and Amazon Alexa. 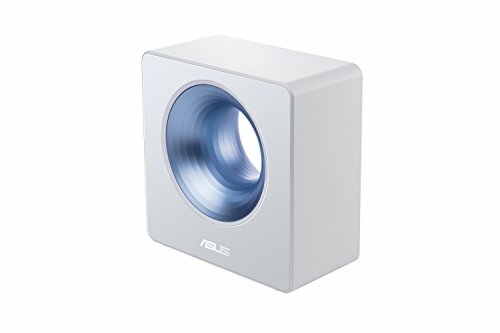 When configured correctly (don’t worry, it’s easy via the Asus wizard), you can shout commands at your Amazon Echo device and have your Blue Cave router do stuff, like “Alexa, ask Asus router to pause internet”, so you can shut down the wi-fi during a family event because your kids are addicted to the internet. Or, “Alexa, ask Asus router to turn on the guest network for 3 hours”. Nifty stuff. IFTTT kicks things up a notch by letting you create “applets” that tie into a plethora of over Internet services. Explaining the magic you can do with IFTTT is an article for another day, but actions for the Blue Cave include turning Wi-Fi on and off, turning the guest network on or off and enabling game mode and media mode automatically depending on the activity of other apps and devices. The decision to buy this router over others is simple. Do you like how it looks and don’t mind spending a few extra bucks because of it? It works well, has a solid range of features and looks good. But if how your router fits in with your home’s decor is of no concern to you, buy the cheaper, but more powerful Netgear R8000 or the fractionally more expensive but vastly more powerful, TP-Link Arcer C5400. 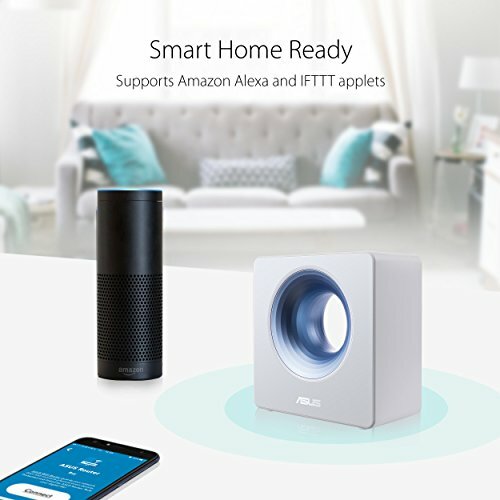 Smart Home Ready - Create smart automated tasks with IFTTT and control Blue Cave with Amazon Alexa. Easy PC-free Network Control - Use your smartphone or tablet as your network control centre, with notifications for network activity, security reports and more.